I'm getting top heavy on Kings...but I couldn't pass up the MBKs this year. This is a seller's picture, but you get the idea. I'm getting a pair from them. Great looking MBK. I miss my kings. Very nice snake, Scubadiver. I can't wait to see the pair. Really nice looking king. Looking forward to seeing your photos of them once you get them. 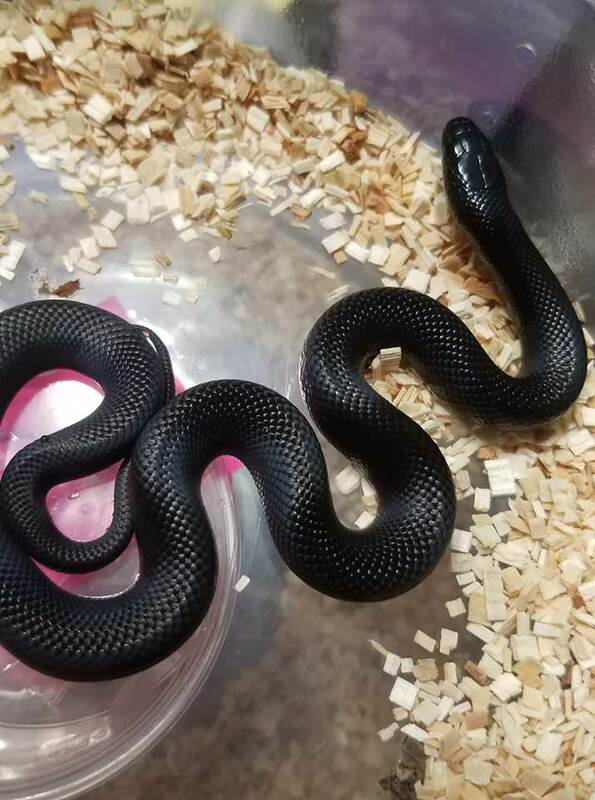 They are beautiful black snakes. I almost went for a pair of those, but found a seller with lucy female and normal male black rats and got those instead. Overall I like rat snakes a little more than kings, probably because they're more arboreal, and seem to take handling better. I suspect they're simply more comfortable being off the ground than kings. Beautiful! I’m thinking a pair of these are next on my wishlist.